At the intersection of Chapin Parkway and Delaware and Lafayette Avenues, Gates Circle was a part of Frederick Law Olmsted?s original parks and parkways system for the city. The sunken circular park was reconstructed in 1904 at the insistence and expense of Georgia B. Gates Pardee. Noted Buffalo architect E. B. 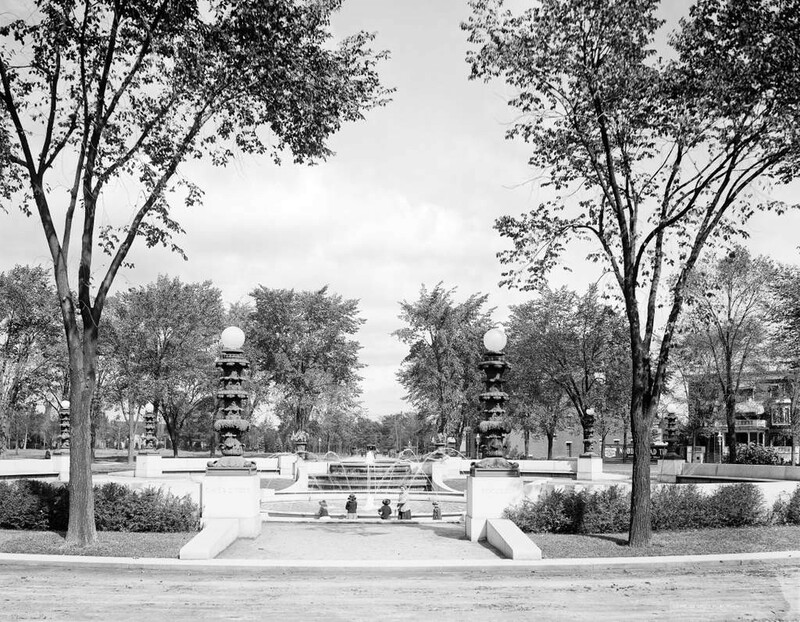 Green was hired to redesign the space, into which he incorporated lights and a fountain previously displayed at the Pan-American Exposition of 1901.